Beautiful and ergonomic stainless steel corkscrews with luxury finishes and substantial weight and feel. Fitted with a professional screw and knife, mirror-finished stainless steel and ergonomic long lever double curved handle. Comes with wood box. Made in Europe. 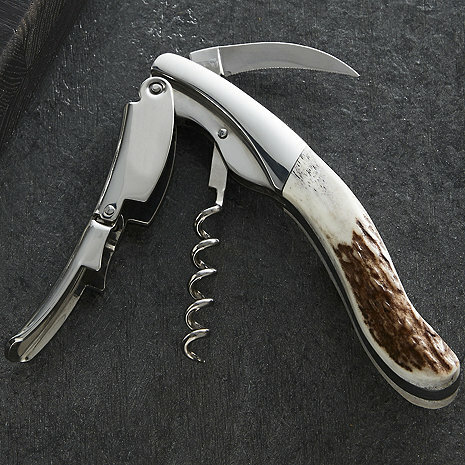 Yes, it's pricey... that being said, this is the last corkscrew you will ever need. It's heft makes opening any wine bottle a breeze. I really like the feel of this corkscrew. It works easly and is also very stylish. I would recommend to anyone wanting a higher end corkscrew.